The highest expression of formality of the tuxedo in the double-breasted variant. 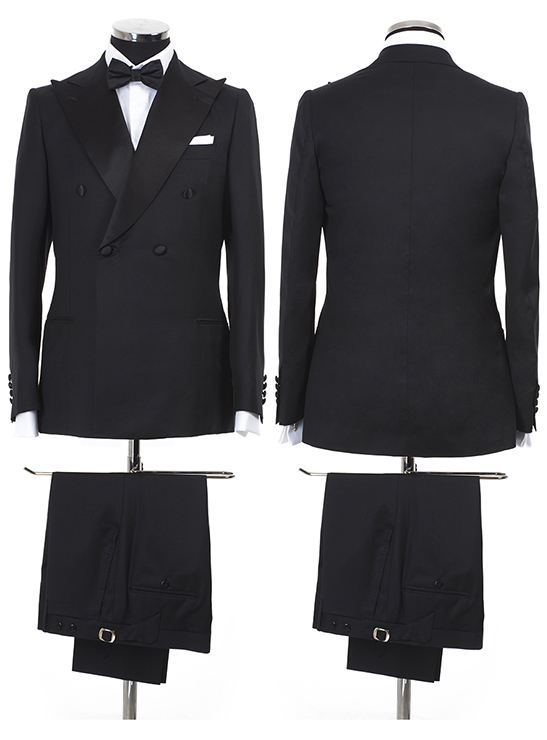 The jacket in mohair is a 4 button (one button on the collar) and silk collar “a lancia”. The pants have adjustable buckle instead of loops and classical pockets. The shirt is a classical one, made in cotton and cuff for cufflinks. Jacket: 100% mohair, 4 buttons. Pants: 100% mohair, no belt, classical pockets.